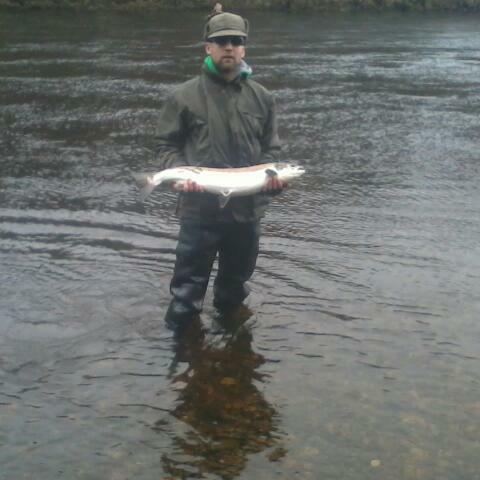 Fish of the Month February Entry - Dalmarnock Salmon! Stephen Devlin sent this picture of a Salmon he caught at Dalmarnock on the River Tay while using an Ugly Stick spinning rod, Okuma Trio reel and Savage Gear braid. The fish took a silver spoon.